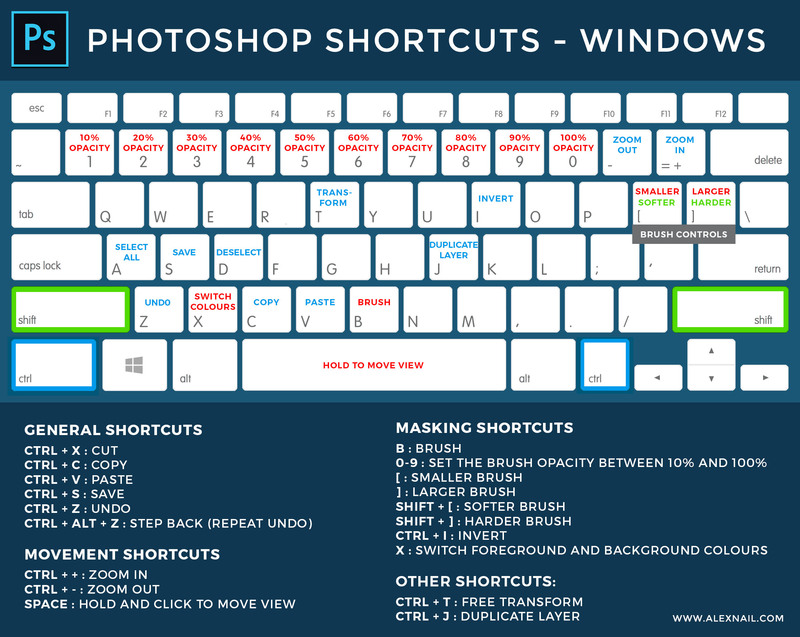 Below I’ve compiled a graphic (for both Windows and Mac) showing my most commonly used shortcuts. I come from a landscape photography background but these shortcuts should be useful to those working in other genres as well. 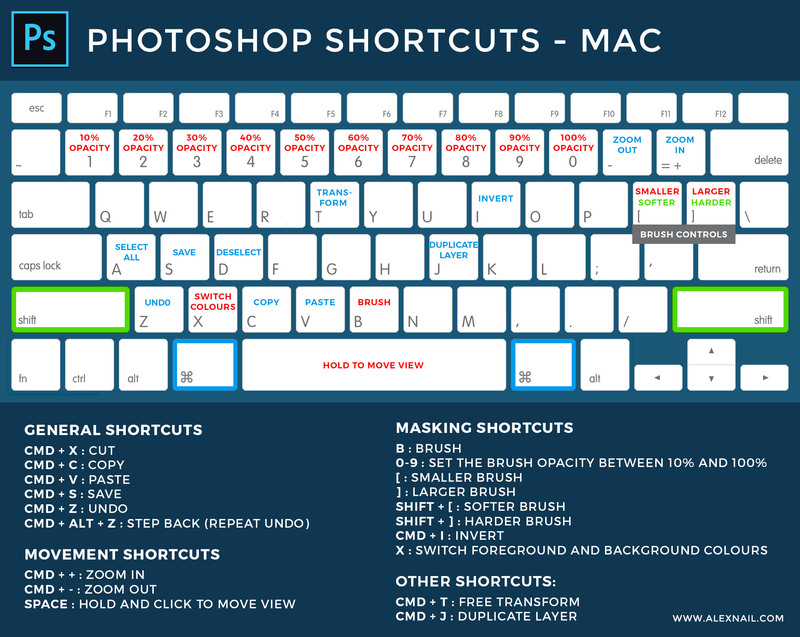 Learning these shortcuts will save a lot of time. Whilst it might seem tedious at first it will soon repay the investment. The masking shortcuts in particular will allow you to paint or modify layer masks relatively efficiently. Here are the shortcuts I have proposed laid out in text form should you wish to simply print the text versions. This are the Windows shortcuts, but to change them to Mac just replace Ctrl with Cmd. Space : Hold and mouse click to move with hand tool. Written by alexnail, posted on 13th January 2018 at 1:58 pm, in Tutorials. Permalink. RSS feed for this post. Thanks for sharing the shortcuts of photoshop, Alex. Now it would be much easier to work on photoshop and time savvy also!